Catastrophic injuries usually stem from an unexpected and disastrous event that can leave the injured parties fighting for their life. As you can imagine, catastrophic injuries often involve life altering results that can flip your world upside down. Not only will you be looking at a whole new way of life and possibly relearning how to walk, talk and eat, but you could also be looking at thousands of dollars in medical related expenses to accommodate this new change of pace. If you or a loved one has suffered a catastrophic injury, then don’t try to battle this on your own. There are resources out there that can make this difficult situation a little more bearable and options for financial assistance. One way to help with the unexpected financial costs involved in this type of injury is to seek compensation for your damages through a lawsuit. 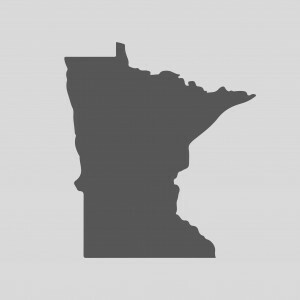 Contact our team of experienced Minnesota injury attorneys today at (612) 465-0320. A personal injury lawsuit allows the injured party to gain compensation to help pay for the loss incurred. This can include a loss of income and projected income as well as the medical costs involved. When you have suffered from a serious injury it can take a lot of strength and courage to get back up and start again. A personal injury claim can help take the financial pressure off of you so you can ensure the best way of life for you and your family. Burns and explosions – if you have been injured in a burn, explosion or electrical accident, then you could be faced with several serious injuries, from scarring and disfigurement to nerve damage and paralysis. Car and motor vehicle crashes – motor vehicle crashes often result in devastating injuries including paralysis, permanent disability, and spinal damage and brain injuries. Workplace related incidents – construction sites often involve heavy vehicle equipment, several different companies working together and massive job sites. Falls from high ground, vehicle crashes and heavy machinery incidents often result from mechanical defects, a lack of safety protocol or miscommunication between the various companies. Whatever the case, the results can be catastrophic. If you or a loved one has experienced a catastrophic injury, then it is important that you seek legal advice. For more than 20 years we have been helping the injured receive compensation to pay for lost wages, emotional suffering and medical related costs. We offer aggression in the courts and compassion to our clients as well as a no-win no-fee guarantee. There is nothing to lose and you could be entitled to compensation to help you recover without financial worry. Our Twin Cities injury attorneys are available anytime you need us. Contact us today at (612) 465-0320.